Thanksgiving isn’t just turkey and cranberry sauce. It’s about gratitude! Here are four exciting ways to stand out by showing gratitude to prospective students any time of the year. Being the week of Thanksgiving in the U.S., I’ve been thinking about how showing your gratitude can be a powerful way to make a deeper connection with your audience. 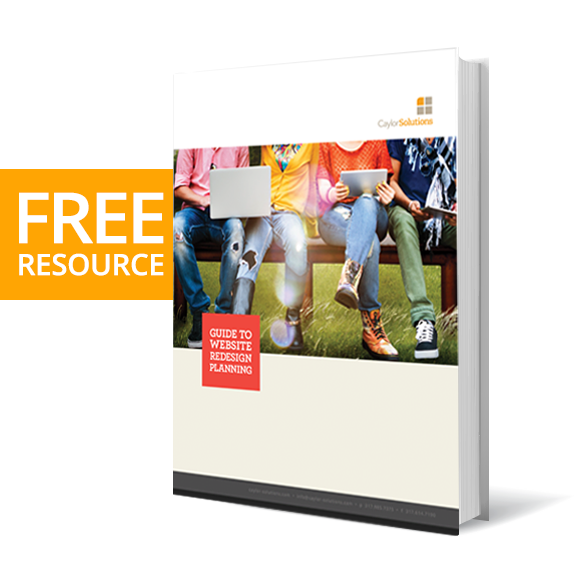 Showing heartfelt gratitude benefits your education brand in many ways. But more than anything, expressing gratitude endears you to your audience as you show them that they are more than just another enrollment goal to check off. To do this, plan and implement appreciation campaigns for your various audiences throughout the year — not just on Thanksgiving! All marketing campaigns should be audience-centric — it’s about them and their dreams, not ours. But eventually, marketing has to call the audience to do something that benefits your school. However, appreciation campaigns pull out all the stops and focus entirely on the audience. They’re about calling out the things you appreciate about your audience. That means no call to action. Just pure gratitude. The goal of these campaigns is to build loyalty for your education brand by being one of the only higher education voices out there who recognizes how amazing they are. How often do you think your prospective student has been recognized for the brave and intelligent way they’re looking to improve their future through higher education? How often do you think parents are appreciated for their loving support of their child, constant worry for them, and immense trust they’re placing in you? Not that often. That’s why appreciation campaigns are a low-cost, strategic way to differentiate your education brand from other higher education institutions. Create a memorable catchphrase for your campaign like “Ode To Mothers” or “To the Brave Ones” (as in prospective students are bravely entering their new season of life). If you try to thank everyone, the impact of your campaign will be minimal. Choose a specific group like prospective students or parents and focus all your efforts on it. Generate more buzz about your college or university by coming up with a face for the campaign. The university president, a series of faculty and staff members, or a well-known alumnus are all good candidates. Which channels are you going to focus on for maximum results? Think about where your audience is likely to hang out, and focus your marketing campaigns there. Now that the basics are out of the way, let’s get into 4 specific ways to show gratitude to your audience through content marketing. #1. Touch hearts with video. Generation Z respond well to visually engaging rich content like 360 photography and video. Video is part of the daily lives of Gen Z — dishing out content on their favorite channel helps you to be heard and not ignored. It spices up your content and helps your institution stand out from competitors who use traditional copy and photos. Who can you feature in these videos? Alumni – let former students give thanks to parents for forfeiting privileges so their kids could go through college. Parents – chronicle a day in the life of a parent, noting the numerous sacrifices they make in order to make their children’s education dream come true. Chancellor or President – a personal message of gratitude to students from the visionary leader. Try new ways to use video content like Instagram’s IGTV mobile app to communicate your message of appreciation through 10 minute videos. Getting your messaging on these cutting edge channels means you’ll get there before your competitors do. Use the intimacy of email to personally thank your constituents for their unwavering support throughout the years. Subject – Shorter subjects work best because they don’t get cut off since most people read email on their mobiles these days. Personalization – Go beyond using their first name in the opening. Personalization is all about hyper relevance. To tug your audience’s heartstrings, address their struggles and aspirations. Specificity – General expressions like ‘Our hearts are overflowing with gratitude” don’t mean much. Go deeper into the reasons why. Address the specifics. #3. Wow with banner ads. Getting people’s attention nowadays is tough. Attention-grabbing banner ads — a paid marketing strategy — can solve this problem. Use them to drive prospective students from social channels to your site as part of your social media marketing strategy. Use engaging images or multimedia – animations, fallback images and videos spice things up and grab attention fast. Use a popular person as a drawcard – a famous person your audience loves can boost click throughs to your website. Use short but punchy copy – compliment the visual message with brief copy so prospects get the message quickly. Plus, your landing page headline should match the content of your ad so visitors don’t get confused and leave. Giveaways are a great way of bonding with your audience and generating goodwill towards your institution. After all, who doesn’t love a free gift? While it’s difficult to measure the results of a well-executed appreciation campaign, messages of gratitude will build your education brand authority and help you differentiate yourself from the rest. Want to Improve Your Digital Marketing Results? Then you’ve got to know how to write for the web. That’s why we want to send you our latest ebook: Writing for the Web: 7 Secrets to Content Marketing Success for Education Marketers! In short, you’ll be able to write the copy that makes your digital marketing strategy work for you. Download your copy today!